The Hackney Reading Centre, a place where adults came for literacy classes, ran from the mid-1970s to the 1990s in a small room at the top of the Centerprise building. The Reading Centre did more than teach reading – alongside Centerprise’s publishing project, it set out to equip and encourage adult learners to be writers too. 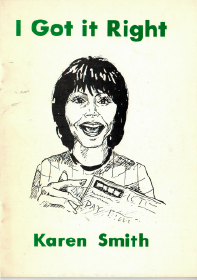 The resources are based on four texts published by Centerprise in the 1970s and 1980s, three of which were written by Hackney Reading Centre students. The texts are I Got it Right by Karen Smith, one in a series of easy readers by students published by Centerprise, Ngusi Thompson’s ‘Naval String’, from Every Birth It Comes Different, a collection of writings about childbirth and birth customs, ‘A Woman’s Job’, an excerpt from Annie Spike’s A Woman’s Work, an oral history of her work as a cleaner and mother and student Isaac Gordon’s account of ‘The Accident’ in his book Going Where the Work Is. Read Short descriptions of texts and writers here. 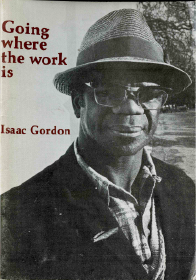 Although written thirty or forty years ago, they have continued relevance for learners living in Hackney and beyond, and cover themes that we hope remain engaging to diverse groups of students. Many more Centerprise texts have been digitised by On the Record as part of this project, with huge scope for use with adult learners. The texts can be used with learners of different levels, though some are more complex than others. ESOL curriculum references have been included in order to highlight possible language and skills that could be developed with each text and to make it easier for teachers to include these sessions in their schemes of work. 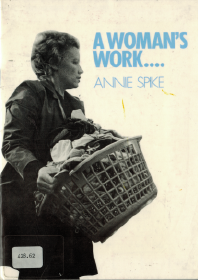 Some of the ideas for the resources have developed out of work with adult learners studying in the same area today, on the two Local History for ESOL Learners courses the author of these resources teaches in Hackney. We are really grateful to the learners for their many thoughts and ideas which are reflected in the resources. The resources have been made in Word so they can be edited to reflect the specific needs of learners. It is also hoped that any thoughts and ideas teachers have on the resources can be shared, reflecting the idea of a community of practice which underpinned the work of the Hackney Reading Centre. Whilst the resources use the texts as starting points, they also aim to more broadly reflect the pedagogical approach of the Hackney Reading Centre. To read a fuller exploration of the ideas behind these resources click here. 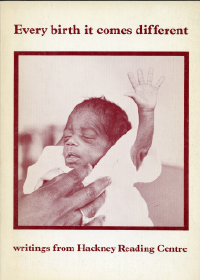 We picked the poems for their quality, clarity of expression and relevance to young lives. To paraphrase Derek Porter, a Centerprise writer, the poems meet young readers as friends, dressed as their friends would be dressed. 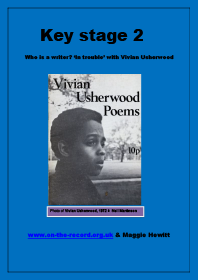 Vivian Usherwood, a Jamaican boy from Hackney Downs (now Mossbourne Community Academy), became one of the best-selling poets of his day when, aged 12, Centerprise published his Poems. 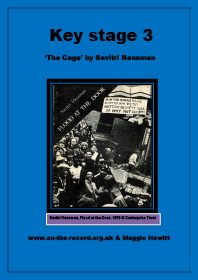 Savitri Hensman was 17 when Centerprise published her collection Flood at the Door. Her family came from Sri Lanka and she witnessed National Front attacks in East London. Eveline Marius, whose family came from St Lucia, preferred to write alone in her own style, and not risk being influenced by other writers in a group. Lotte Moos, a refugee from Nazi Germany whose talent was submerged by years of exile and “child adoration” until she discovered Centerprise in later life. All sessions aim to build a language for reading and discussing poetry, both the formal linguistic devices and the historical and political context of poets’ lives. For example, ‘A Caribbean Writer in Hackney’ introduces the concept of Frontline, and asks students to reflect on their own frontlines. Crucially, the sessions also encourage children to see themselves as creative writers and challenge preconceptions about who a writer is. The sessions use a combination of collective activities; discussion, role-play, reading, listening and poetry workshops, alongside individual map-making, visualisation and writing. They were devised by people who taught and wrote in the Centerprise era and by people teaching and writing today, with National Curriculum requirements in mind. Each folder is a zip file with a session plan addressed to students (project on the white board) and teachers notes (instructions for teachers, activities on paper and images) and a cover image. 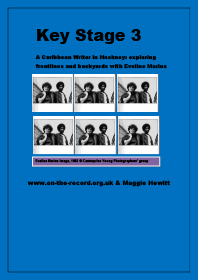 The teacher notes for ‘A Caribbean Writer in Hackney’ contain definitions and examples of common poetic terms and devices, useful for all six plans. ‘Who is a writer – Vivian Usherwood’ is a good place to start for Key Stage 2. ‘Who is a writer – Savitri Hensman’ is a good place to start for Key Stage 3. This session invites consideration of racism and prejudice, so it would be useful to set ground rules for the discussion. 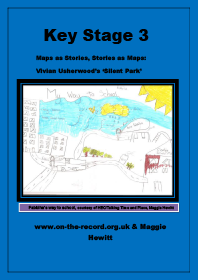 ‘Silent Park’ and ‘Estate Kids’ could be adapted for a project on local studies or the environment. 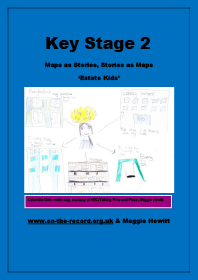 They take inspiration from Maggie Hewitt’s work with young people, especially the excellent resource Talking Time and Place (2015, HEC). They introduce the concept of maps as more than just a way to take a traveller from here to there. Map-making activities become the basis of a story; a way to track the emotional along with the physical journey. In these sessions, children articulate and write about features of their environment that are meaningful, threatening, and exciting. ‘Silent Park’ is Geography/English. ‘The Interview’ is Media/English. The other four are English language / literature resources. Special thanks to Maggie Hewitt for supplying many of the activity ideas. 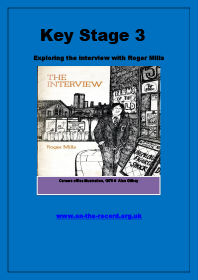 Richard Gray and Roger Mills inspired ‘The Interview’ session plan. Nana Fani Kayode and her colleagues helped edit and refine the plans.